Register to join the walk. Often known as the ‘Jewel of Western India’, Gujarat is also famous for its lip-smacking platters, along with its diverse heritage. Although the long coastline ensures a large variety of seafood, the influence of Jain culture and philosophy makes the region a predominantly vegetarian one, barring a few communities. The cuisines here are not only varied and delicious but also high in nutritional value. Diverse cooking styles and combinations of spices are employed in the preparation of different dishes, making each one unique. 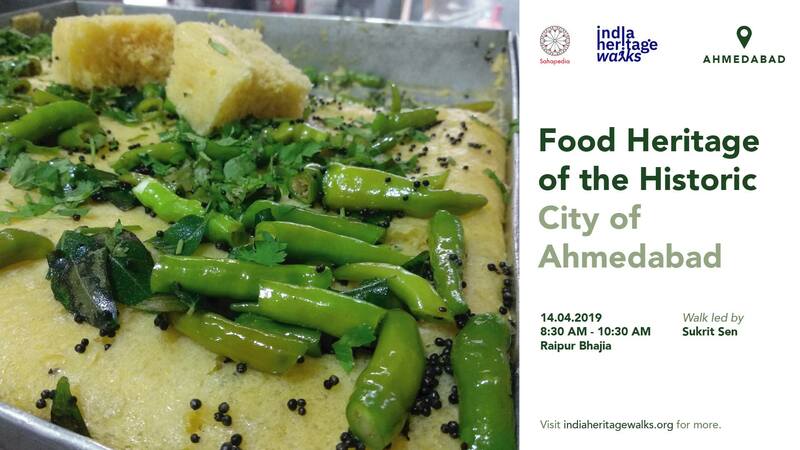 Ahmedabad is also famous for providing some of the finest snacks in almost every corner of the busy lanes that lie amidst spectacular monuments. We shall begin the walk at the Raipur Bhajiya House, and then go through the Raipur Darwaza and reach Das Khaman and talk about its close association with Sardar Vallabh Bhai Patel. On the way, we shall cover some of the oldest and the most beautiful pols in Ahmedabad. After some khaman and dhokla, we shall walk past the Jama Masjid, Badshah-no-Hajiro and Rani-no-Hajiro through the Manek Chowk, and explore the Share Bajar Chavanu and Kandoi Bhogilal Mulchand Sweet merchants, and end with some delicious jalebi and fafra at Chandravilas and also discuss its role in the 2001 riots. Most of these eateries have been serving citizens for almost two centuries now and have been a rather important part of every Ahmdavadi’s life.